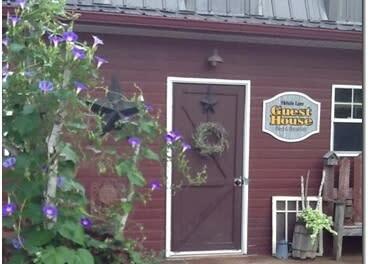 Thistle Lane Guesthouse Bed & Breakfast invites you to experience the simplicity of life in the country. Come and stay with us on our prairie hobby farm. 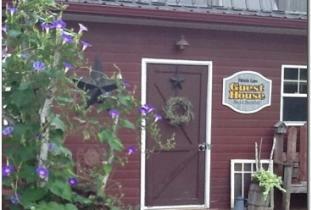 The Guesthouse is a 1921 farmhouse with a newly attached hip roof barn, decorated in rustic country charm. A self-catered breakfast will be provided for you, to have at your leisure, in a fully equipped kitchen. This quaint little cottage has two bedrooms, the barn loft accommodates five or six people, with two queen size beds, and a pull out couch. The farmhouse attic takes you back in time with two antique metal beds, and burlap curtains, reminiscent of an era gone by. Two separate living room areas, one with a flat screen for movies and another with a library, both with pullout couches and dining tables. The bathroom is rustic luxury, with a slipper claw foot tub, and white towels, which create for you a modern farmhouse bath. We have Wi-Fi throughout the guesthouse, a fire pit outside as well as a barbeque, for your use. Thistle Lane offers a variety of packages, Baking 101, Girlfriends Retreat, and our ever popular Quilters/Scrapbookers Retreat. Looking forward to hosting you at Thistle Lane Guesthouse, see you soon!